When I first met and photographed Avery, she was an adorable toddler carrying around a soft gray blanket. She rode her red tricycle, showed me some fallen oak leaves, and giggled hard as her parents swung her by the arms. I wondered what she would be like one day. 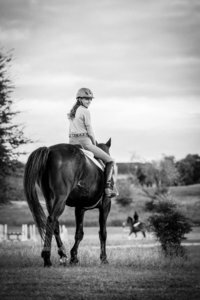 Fast forward: I learned that Avery, now 11, had become an accomplished Hunter Jumper, passionate about horses and competing in horse shows. 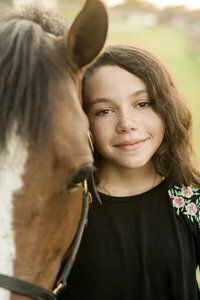 Jim and I created portraits of Avery, her horses and her wonderful parents on a gorgeous Spring Day. 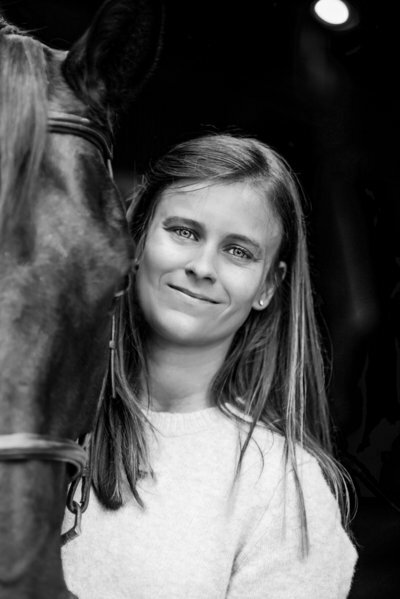 Alongside her horses, Avery's face lit up. I was in awe of her skill, poise and athleticism. 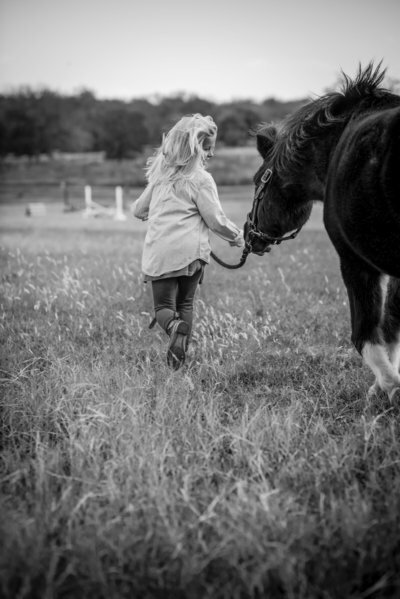 Being near horses again brought me a profound sense of peace and ease. 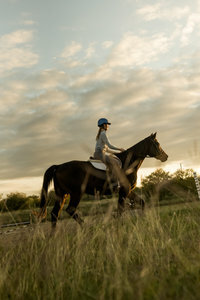 We're deeply artistically inspired by the equine-human connection. Jenn abandoned her studies at Cambridge University to dedicate herself to shooting hard-hitting photojournalism. 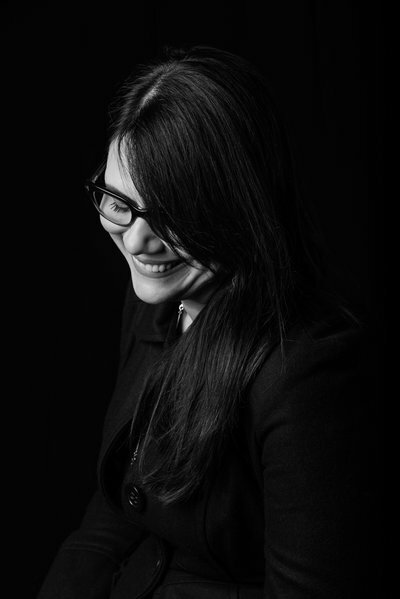 Her work has been published in the New York Times, US News & World Report, Marie Claire and many others. She won a "Picture of the Year" award from the National Press Photographers Association for her portrait of a boy orphaned by AIDS in Mozambique. Jenn started photographing weddings & portraits as an antidote to the suffering she witnessed as a photojournalist. Being surrounded by beauty and connection made a welcome change from the gritty realism of her work. In 2012, Jenn became a mom through international adoption. Becoming a mother changed her, shifting her creative focus to families and children. Today Jenn passionately documents and records life histories. 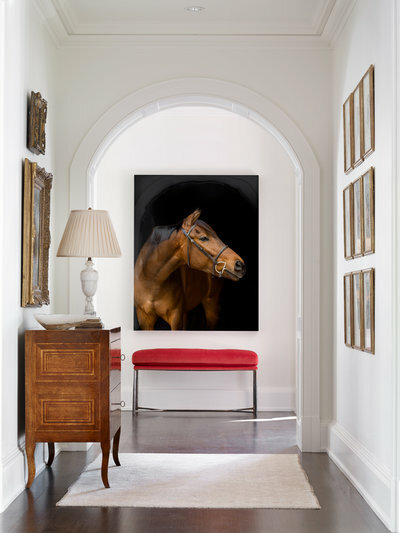 Her equestrian and equine portraits--including the posed ones--are characterized by a relaxed authenticity. She lives with her husband and partner, Jim, in their Victorian home in Lockhart, Texas, with their two children. They love visits with Jenn's wonderful stepdaughter on days off from her medical residency in San Antonio. Jenn and Jim recently purchased and restored a historic building on the town square that has become a Destination Studio & Gallery. Slowly but surely their lives are looking less and less like an HGTV show! 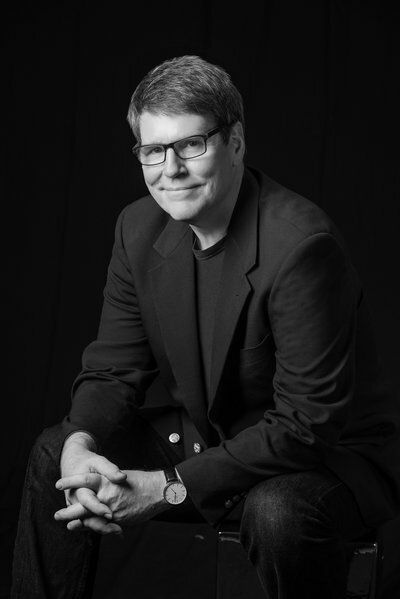 With a background in engineering and management consultancy, perhaps Jim is an unlikely photographer. But truth, as they say, is stranger than fiction. 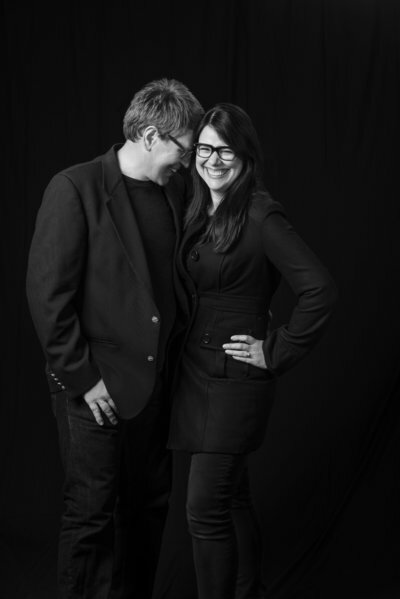 Jim studied photography in college and when he met Jenn in 2006, he started assisting her on weekends to spend more time together. When they got married in 2008, Jim gave up corporate life and devoted himself to photography full time. 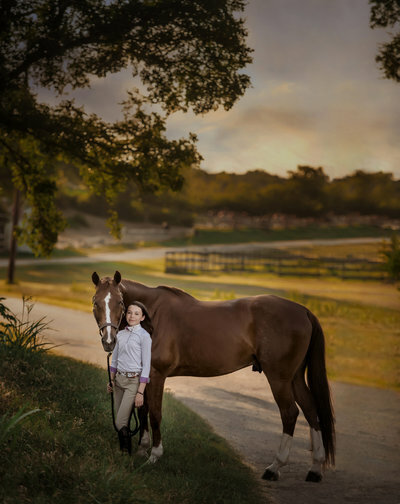 He loves capturing those small moments that unfold quickly and he has become a lighting expert, both for outdoor Equine and Studio Portraits. 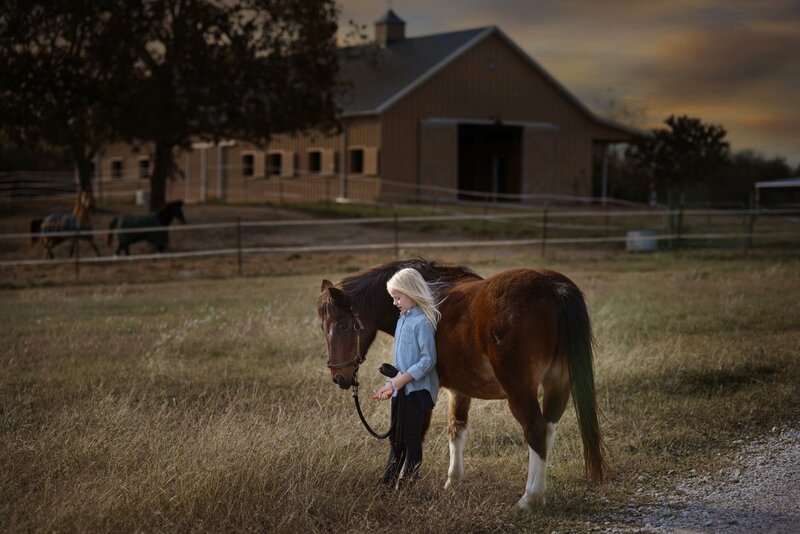 Jim grew up on a working family farm in Iowa and received his horse, "Flippa," as a 9th birthday gift from his parents. He also spent a couple of years in Japan, so he's a pretty Zen guy, low key and patient. 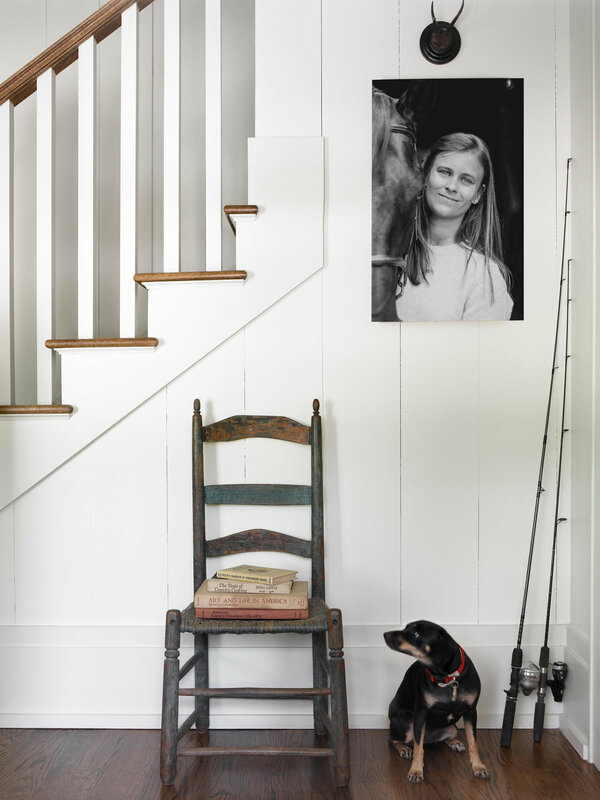 When he's not taking photographs, he turns his creativity to woodworking and meticulously restoring the Victorian home he shares with Jenn. He has also been involved in remodeling their historic Studio on Lockhart's Main Square, hand scraping the long leaf pine floors that were discovered upstairs. Jim is proud to have a daughter who is completing her Medical Residency while also serving in the U.S. military, and dotes on a couple of adorable kids he adopted with Jenn. Julia has a European flair for naturally beautiful retouching which is not surprising since she's based in Europe. She's a bit of a Photoshop nerd with oodles of skill and meticulous control who constantly takes courses to become even better. Julia is also a talented painter who began her journey as an artist in grammar school. 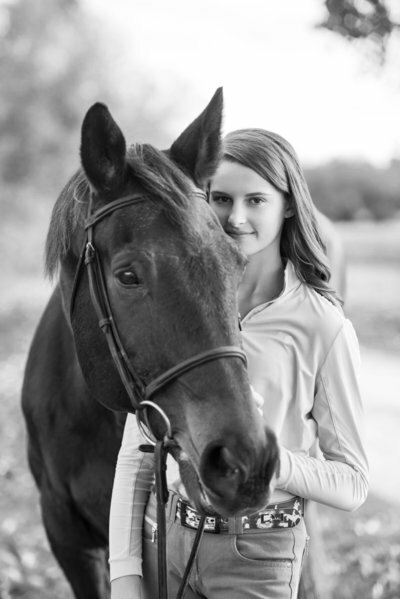 She has been working closely with Jenn and Jim since 2012. 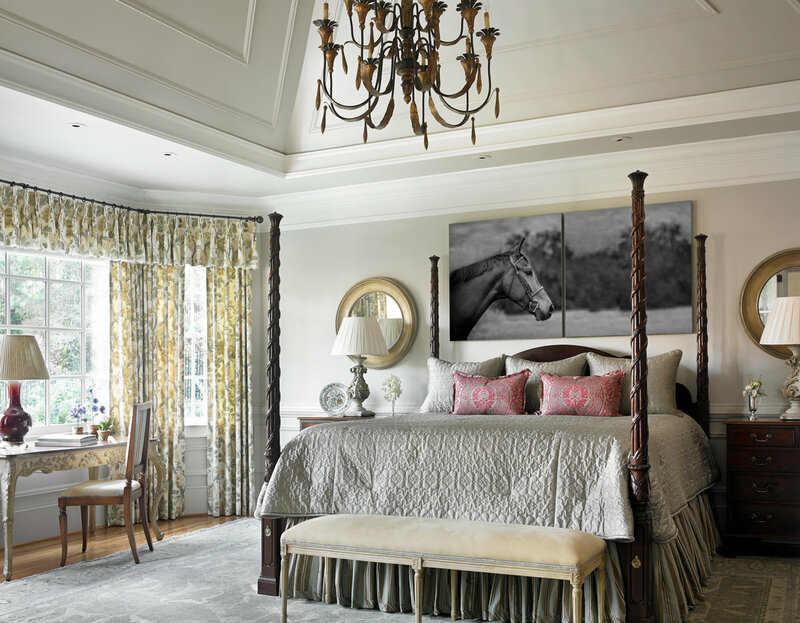 Together they've created an aesthetic of timeless elegance that looks great today and will look great years from now. Julia delights in making sure that your every rider looks her best. As a mother of two boys, she relishes the opportunity to indulge her femininity in this way. 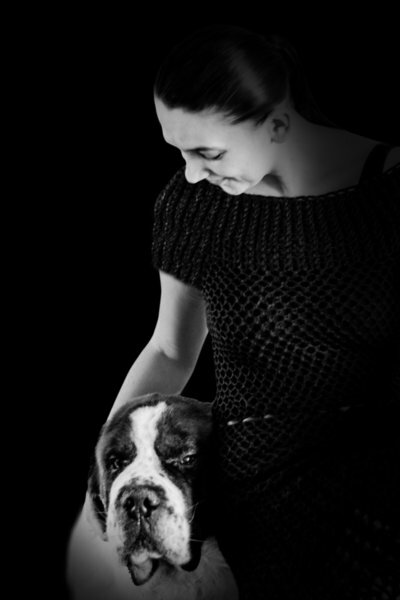 In her spare time, Julia studies Japanese, Russian and Polish and takes her family's Saint Bernard for walks. 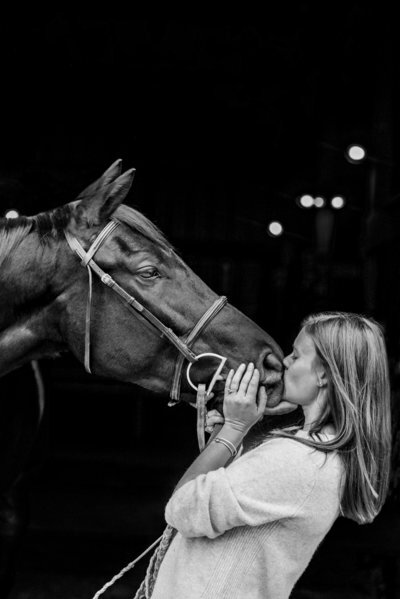 Your relationship with your horse is important, almost beyond words. Recording that connection and having tangible portraits or an album to look back on and enjoy is something our clients love to have. 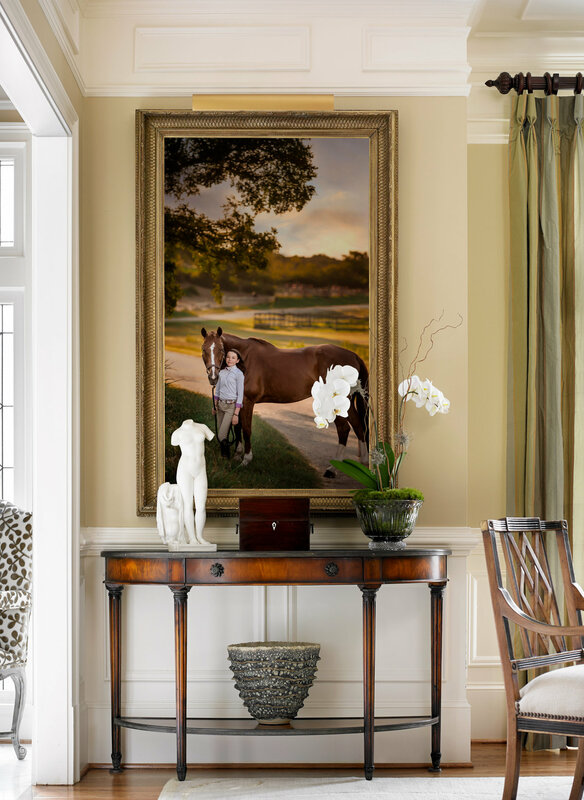 Our Equestrian portraits are a tribute to and a celebration of your human equine bond. Drawing on decades of experience, we offer a four step process to ensure that every rider we photograph receives extraordinary portraits. Below you'll find a short description of each step. 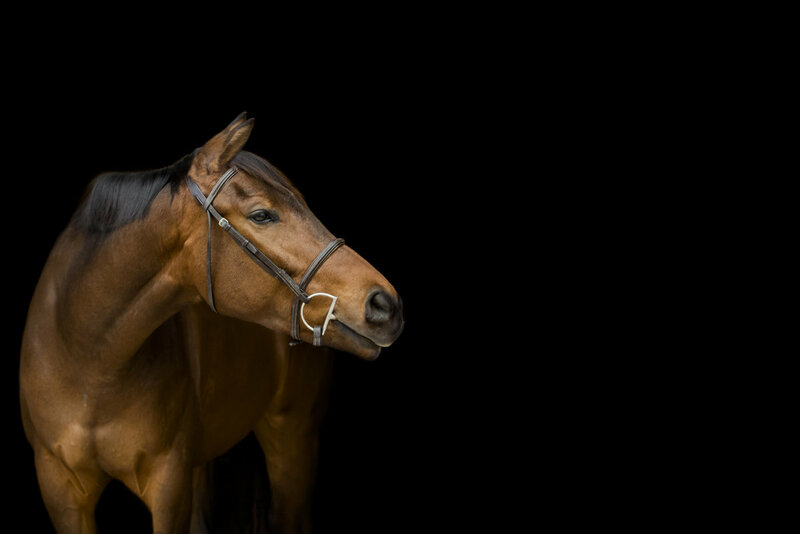 Our equestrian portraits are a blend of moments captured in editorial style, black background equine images and relaxed, posed photos looking at the camera. We believe both are an important part of your recorded history. Planning is a critical step in the creation of beautiful and meaningful portraits. 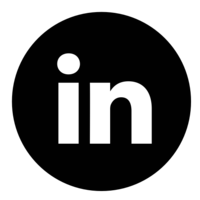 We talk with you in depth to design your ideal portrait session. 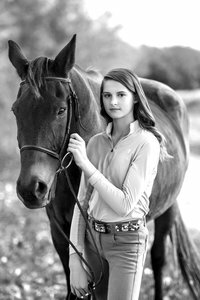 All of the details were taken care of and now you can simply relax, take this time with your horses & entrust us with creating your portraits. At our historic Lockhart Studio, attend a special cinematic screening of your proofs. We assist with portrait selection & ordering. Your portraits have arrived! Perhaps you ordered a gorgeous Italian canvas or a branded leather album. 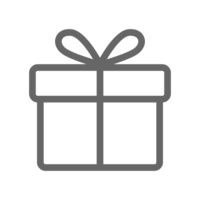 We deliver and you enjoy.